Baby No. 5 will arrive in spring 2019, her upstate NY zoo says. This is no tall tale - April the Giraffe is pregnant again. 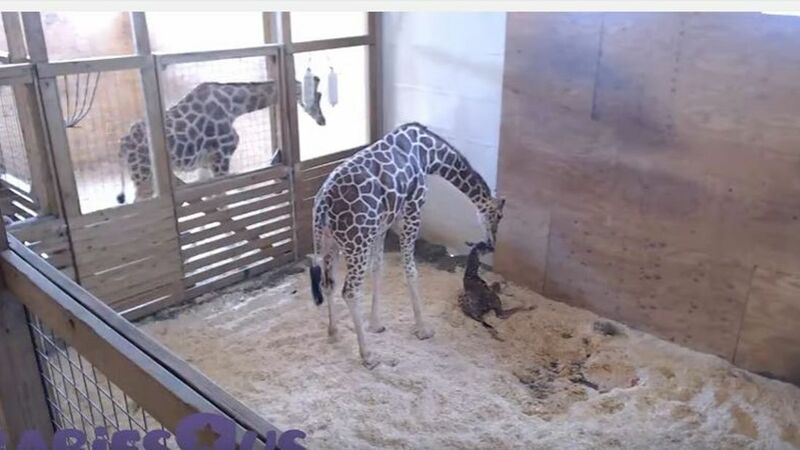 And, yes, the father is Oliver the Giraffe, who also fathered April's last calf. April has maintained her social media celebrity status since rising to fame a year ago. Jordan Patch of Animal Adventure Park told ABC News amid pregnancy rumors in November that Tajiri is very healthy and that April is an excellent mother to him. The privately owned zoo is already live streaming from her enclosure, with more than 232 million people having tuned in during the seven weeks leading up to the birth of Tajiri last April. "At Animal Adventure Park, our top priority is preserving these attractive, majestic creatures and increasing awareness of the threat giraffes are facing", Mr. Patch said in a statement. The average giraffe pregnancy lasts about 15 months, the zoo says. More imporantly, Patch says he hopes to continue to increase awareness of the threats giraffes are facing as they're listed as "vulnerable to extinction". "April likes to go 16, 17, 18 ..." The baby from the original viral stream, Tajiri, was born in April 2017.